TyreON Tyrechanger: quick, efficient and safe! Change tyres with TyreON tyrechangers: quick, efficient and safe! The TyreON tyrechanger is a device you can use for changing tyres easily and quickly. These devices have been especially developed to change large tyres of trucks, trailers, tractors, buses and agricultural vehicles, but also of construction-machines, earthmoving equipment, commercial vehicles, all-terrain vehicles and passenger cars. Thanks to the tyrechanger you are no longer dependent on a garage or tyre-service. You can change your tyres at your own location, which makes the changing of the tyres much quicker and cheaper! Interested in a TyreON Truck Tyrechanger? Compare all models and see which one suits you best. 37 customers rated us with an average of 8.1 op Kiyoh. Zeer snelle service, na online bestellen en bevestiging van betaling kon de brug direct worden opgehaald. De brug bevalt tot nu toe zeer goed! 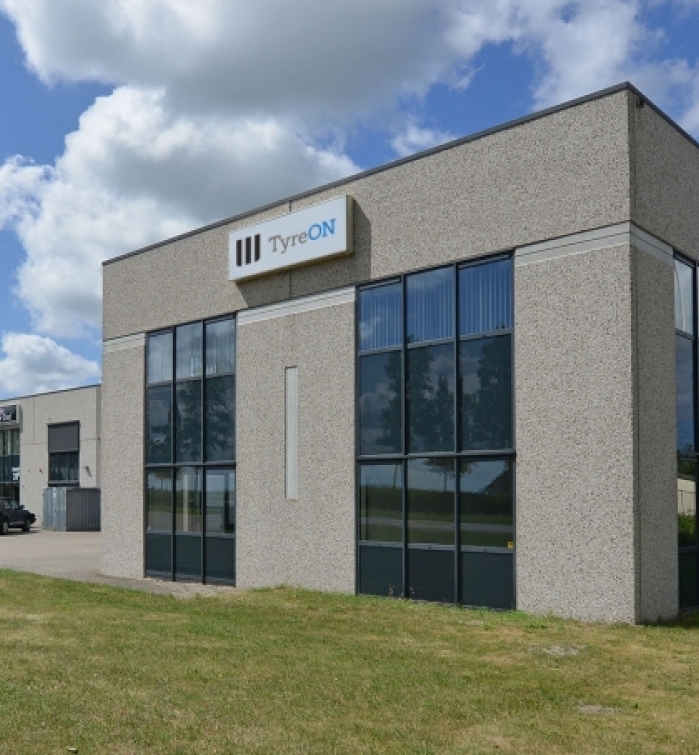 TyreON B.V. in Akersloot (NL) is the official manufacturer of TyreON automotive equipment and we are selling these machines to e.g. haulage, contracting firms, agricultural and truck repair companies, construction and earthmoving equipment traders, garages and tyre-services, but also to companies in the agricultural, truck and building sector throughout and outside Europe. Changing your tyres is a time-consuming and expensive job. This belongs to the past thanks to the TyreON tyre change machine. Working with your own tyrechanger you make all this fuss and handling of hand tools unnecessary. The only thing you have to do, is place the rim on the chuck with 4 clamping arms and the tyre changer will do the work for you! Tyre change machines have to meet high requirements with regard to safety, ergonomics and speed. These tire changers won’t leave the factory until they have been tested thoroughly on all functions. 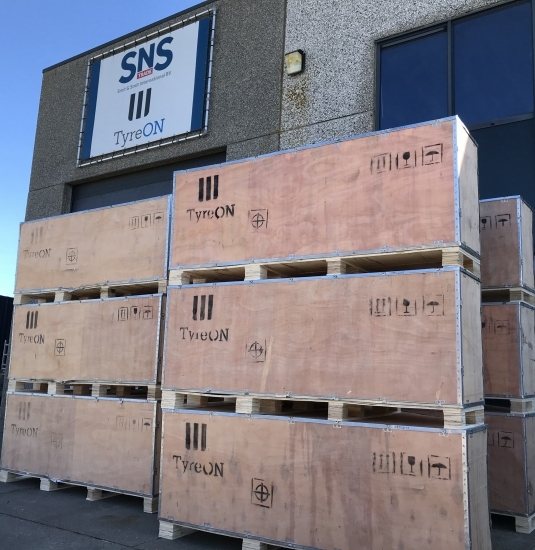 The TyreON truck tyre change machines are delivered in working order. Ready-to-use, Plug and Go! In addition of our tyre change machines, we also sell wheel balancing machines. This machine is equipped with a pneumatic wheel-lift. The accurate, easy-to-use and quick balancing-machine is suited for smaller and larger tyres of trucks, tractors, buses & coaches, but also for light commercial vehicles, all-terrain vehicles, passenger cars and motorcycles. Quality and user-friendliness are also key features of our balancing machines! The TyreON T650M2 is a mobile truck tyre changer that can be easily installed in a servicevan so tires can be changed on site. 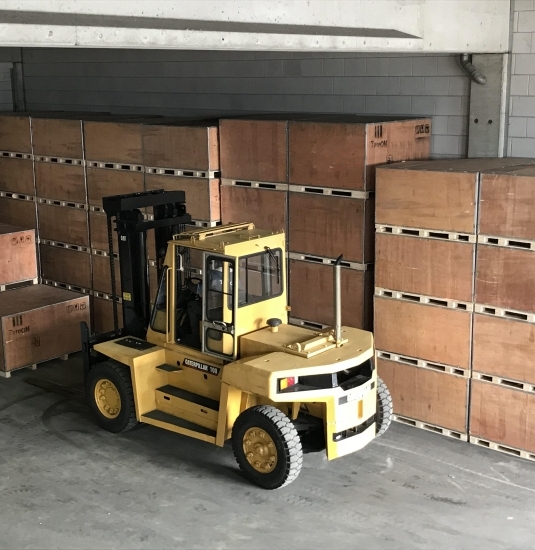 TyreON offers a range of 8 heavy duty durable air hydraulic garage jacks with a lifting capacity of 30 to 80 tonnes with different lifting heights and lifting strokes. 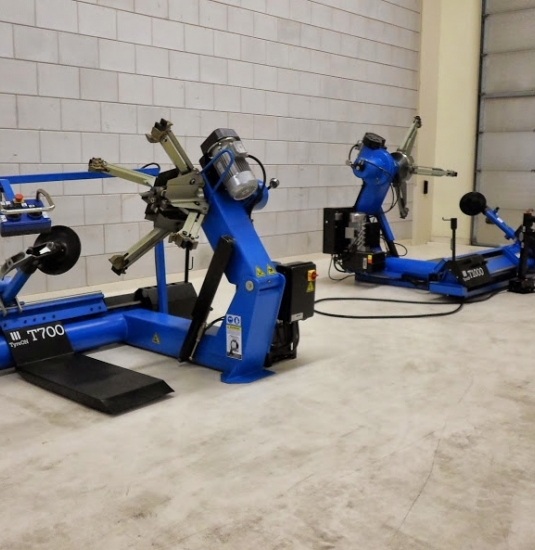 TyreON offers a wide range of workshop equipment for trucks, passenger cars and motorcycles. The powerful and solid tyre and wheel changers, wheel balancers and spare parts are available from stock with a warranty of 1 year. TyreON Automotive Equipment can arrange the transport of the machines throughout and outside Europe. We also take care of all the customs- and export documents required. Do you wish to order a tyre changer or a wheel balancing machine? Do you want more information regarding our machines or do you want to receive a transport quotation? Please contact TyreON on working days from 9:00 to 18:00 hours! Regardless which tyrechanger you buy from us, you are insured of quality and ease. Changing tyres has never been so easy and safe! Call +31 (0)72 – 54 01 002 or send an email to info@tyreon.eu.